JT – Formula One’s most recent outing, the Singapore Grand Prix was once again a fairly straightforward race. Mercedes recovered from its 2015 difficulties to finish first and third this year. Nico Rosberg took the win ahead of Red Bull Racing’s Daniel Ricciardo and teammate Lewis Hamilton. Rosberg made a clean getaway from his pole position and never looked back. Daniel Ricciardo started alongside and maintained his second place throughout the race, closing to within a half second of Rosberg by the finish. Despite brake overheating issues for both of the Mercedes, the drivers managed them. Lewis Hamilton lost third place in the middle of the race to Ferrari’s Kimi Raikkonen but pit strategy allowed him to recover his podium position. What did you think of the race? SJ – Nico really dominated this one, no doubt. He had a flawless weekend throughout qualifying and the race and never put a foot wrong. But what’s funny is that again some of the pundits are back saying that Lewis is finished because he’s partying too hard, he’s not focused, etc. I say leave the guy alone. What we’re seeing is the normal, natural dynamics over the course of a 21-race season. You’re going to have good and bad races. Rosberg was certainly off-the-boil too for a few races mid-season and the pundits were saying he’s not mentally strong enough and this and that. The changing of momentum back and forth is completely normal but I guess some people just don’t have enough to talk about. Because there is effectively only two of them at the moment with a realistic chance of winning and they are so incredibly closely matched all the time it doesn’t take a lot for the momentum to swing one way or the other. And if you look at the starts they’ve both made and what’s happened in the races, who’s to say whether their performance in any race is all down to them? At the end of the day, it also comes down to what their cars are able to deliver. If either one of them isn’t comfortable with their car during a weekend or the balance is a bit off, generally speaking that’s why either driver might be slightly off the pace. It's not always because a driver is making mistakes or is not fast enough. Oftentimes the team won’t find a problem with a car until they get back to the factory after a race when they have more time to really analyze everything in detail with the feedback the driver has been giving them over the weekend. But more often than not, they will always find something that caused the driver to be a bit off that particular weekend. Lewis was able to get third-place back thanks to strategy. Ferrari kind of blew it when they were trying to mark Hamilton after he stopped. I think if they had allowed Kimi to stay out of the pits he would have finished on the podium. But these decisions are always very tricky. When you have the mojo flowing you always seem to make the right decisions almost automatically. When you overanalyze or overthink, you tend to overreact. Then you make mistakes and that tends to spiral. You have to get back in the groove and be able to make decisions by instinct. JT – We touched on the new tire rules for F1 next year in the last blog, mentioning that teams who make the effort to help Pirelli develop their 2017 tires will gain very valuable experience with them. You also make the point that some drivers, one in particular, may benefit hugely by being involved in testing for the new Pirellis as well. SJ – Basically, three teams committed cars for this testing – Ferrari, Mercedes and Red Bull. For the life of me, I can’t understand why McLaren didn’t offer a car as well. I don’t know the ins and outs of it but it’s strange, assuming that they were also offered the opportunity to do the tire testing. But what’s more interesting is that Sebastian Vettel has been doing every test lap for Ferrari that has been available. I guarantee you that this will give him an advantage next year. Every time you run a car you gain some level of knowledge. Racing and F1 in particular is no different than any other business in that it relies on human interaction and relationships to get the best results. The fact that Pirelli has Vettel doing testing, making every single run he can make will pay off. I’ve done lots of tire testing in the past and it’s absolutely the best way to move things forward for driver or a team performance. Pirelli will love the input that Vettel gives them because engineers want as much input as you can possibly provide. And without a shadow of doubt, those tires will be based largely on his input. As I’ve said over and over, on race day the tires are more important than any other feature of a car. If Vettel gets a tire that suits his driving style, that he’s 100 percent comfortable with, he won’t have to spend as much time getting his car to react the way he wants. He’ll be able to attack right away. It’s an incredibly smart move on his part and incredibly stupid on the other drivers’ parts not to dedicate the time to testing if it’s available to them. That’s exactly what Michael Schumacher did. Every chance he had to test, he took it... and some. I remember the Ferrari people used to tell me that if the team had a few days off Michael used to literally call them and tell them that he wanted to test something or that he had an idea for trying something new, asking if they could have his car ready for a test in a couple days. This was back when you could test all the time and they just pounded around Maranello continually. If you remember, the Bridgestone tires were a struggle for a lot of the teams. Even Michael’s teammates were struggling. That’s because those tires were essentially built for him. They suited his driving style perfectly. That’s the kind of advantage you’re looking for as a driver. So it’s a really smart move on Vettel’s part. I’m really surprised that no one else seems to be noticing and that the other teams are instead using their test drivers. Raikkonen has done one test apparently but neither of Mercedes’ regular drivers have tested on the new tires, and as far as I’m aware neither has the Red Bull guys. I’m very surprised. JT – The IndyCar season came to close with the Grand Prix of Sonoma. Simon Pagenaud won, dominating the weekend and capturing the championship with kind of speed and consistency he showed throughout the season. His Penske teammate Will Power, the only other driver still in championship contention at the finale, experienced a clutch malfunction on Lap 36. He ultimately finished 20th. Pagenaud’s title marks the 14th Indy car championship for Team Penske in its 50th year of operation. Team Penske won 10 of the 16 races this season and Penske drivers Pagenaud, Power and Castroneves finished 1-2-3 in the championship. Meanwhile Scott Dixon, 3rd in points coming into Sonoma had a weekend to forget. He finished 17th, falling to 6th in the championship. The 2016 season is now history and the series won’t be in action again until March 2017. Shouldn’t the series add a couple races to avoid not racing for almost six months? SJ – Yes, I agree with you. It’s a pity that the season finishes this early. That’s not the way to keep the interest in IndyCar going. I don’t know if the reasoning behind it is the same as before. It may be difficult to readjust the schedule with promoters but it does no good to be invisible for almost half a year. Pagenaud ended the season in a pretty impressive way. There’s no doubt that he went to Sonoma to win the race as well as the championship. He did a superb job all weekend and the Penske team definitely has the momentum now. Ganassi had the momentum for several years but it seems to have swung toward Penske now. They also have four very strong cars with any one of them capable of winning any race under right circumstances, Ganassi doesn’t have that at the moment. Really, Sonoma was probably one of the worst outings Scott and the team have had in a very long time. From the moment they went out on the warm-up lap and the radio didn’t work, the race went from bad to worse. As I’ve said, it’s weird but Scott had his best year for many years in some ways. If everything had gone his way, he could have won three races where he had mechanical failures which are almost unheard of now in IndyCar. But he had engine problems at Detroit, Road America and St. Petersburg. There were also a few strategic errors all adding up to a Championship finish that was his lowest for quite some time. If all that hadn’t happened he would have almost dominated the season. What’s impressive for me more than anything is that he still seems to get a little better each year, just chipping away at the little details here and there. JT – IndyCar offseason sees many drivers still uncertain as to who they’ll be driving for in 2017. SJ – It’s really hard to say what will happen. There are obviously quite a few open seats and there are more than enough good drivers available to fill them. That’s true in nearly every type of racing today. It is definitely a team market more than a drivers market at the moment, there’s a lot of really talented drivers walking around without a job. The veterans in IndyCar are still getting the job done and from a sponsor or team point of view they’re valuable. 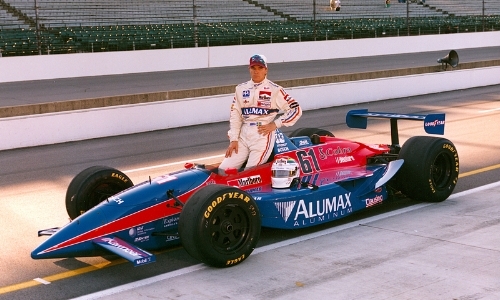 Tony Kanaan’s had a good year. Montoya has had a bit of an unlucky year, maybe he lost a bit of the luck he had in 2015. But he’s still a threat on any given day. More than anything, I wish that one or two of the top guys in F1 would make the leap to IndyCar. That would put the series on a whole new level. That’s what it needs more than anything else - the kind of attention and exposure they could bring. 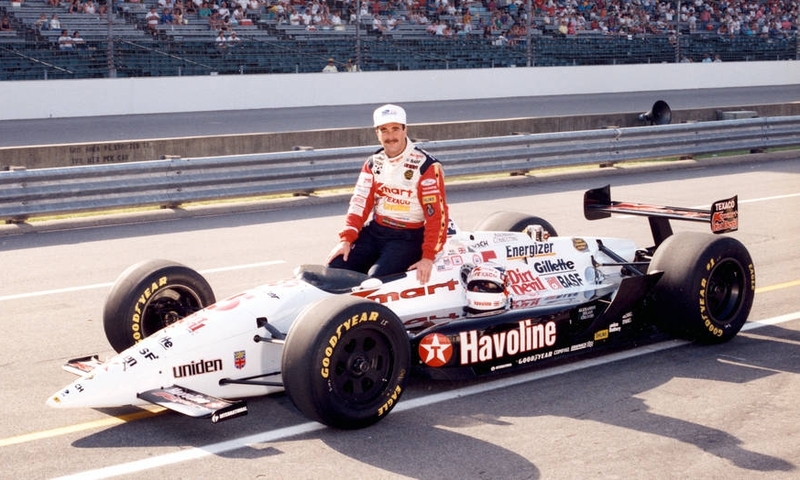 Of course you always need new, fresh blood but remember when Nigel Mansell came over (1993, winning the CART title) and we had Emerson [Fittipaldi], and myself to a much smaller degree, it was really good. IndyCar (CART) was huge back then. Drivers’ salaries were probably triple what the best guys are getting today. JT – In racing news off-track, Formula One has led the headlines. The buyout of F1 by Liberty Media from current majority owner CVC Capital Partners has been making waves already. Liberty Media’s Chase Carey, recently appointed as Formula One’s new Chairman, has said that “F1 can't be a dictatorship, even if probably here they are used to it.” And there are indications that F1 CEO Bernie Ecclestone is not keen to be working with Carey. Meanwhile Anneliese Dodds, a Member of the European Parliament has raised the issue of a conflict of interest in the requirement that the FIA approve the sale of the series to Liberty Media. The FIA holds a one percent stake in the business, estimated to be worth over $40m. This means that the governing body stands to profit handsomely from the deal going ahead. Dodds wrote to the EU Commissioner for Competition to point out the conflict of interest declaring…. While Dodds awaits clarification from the EU, many commenters have said that they don’t expect this issue will hold up the Liberty Media deal. What are your thoughts on all of this? SJ – Well, I only know what I have read just like you so it may not be fair to comment. But one thing I did note was that Carey said that F1 will be a more of a collective and that everybody will have their voices heard, etc. All I can use is Ron Dennis famous quote “welcome to the piranha club”! I really can’t think of a more complicated and difficult business to run than F1 – whether it’s running the series’ business or a team. There are so many layers, so much politics and it’s ultra-competitive. You know the old saying, “sport is war without the weapons”? Well F1 takes that to a whole new level. It’s a very complicated sport due to the fact that the equipment is at least as important as the athletes performing and as such it’s incredibly complex in terms of technology and logistics and a lot more. I can’t think of any other sport that has around 1000 people working behind the scenes to prepare for 2 athletes per team to do their job at the actual sporting event. It’s massively complicated with a huge number of moving parts at any given time. As I’ve said many times in this blog now, one of the biggest mistakes of recent years is letting the teams get involved in the rule-making process. Now they are talking about giving everyone even more of a voice? Personally I think that will become a nightmare. You need one entity that has an absolute handle on every aspect of the business. They make the rules and set the agenda. If you want to play, you play by those rules. If not, you can leave. In my view, that’s the only way it can work. He added that the decision made to “produce the highest quality of on-track competition while also positioning ourselves to add additional engine manufacturers”. What’s your take on yet another change to the Indy Car aero specifications? SJ – I think everybody has now realized that the manufacturer-specific aero kits were an experiment that didn’t work. It was expensive and there was push-back on it from every single team in the paddock I think. I just wish they would have taken that money and spent it on marketing jointly between the two manufacturers. The only thing that IndyCar really needs in my opinion is some great marketing. Their product is already good, I still maintain that the racing is the best in the world and for me it’s a shame that they can’t project this to people more broadly and get them to tune in. It’s phenomenal racing with great drivers and teams. It’s such a pity that no one in the series seems to recognize that marketing is the primary negative that needs to be fixed – forget the cars and these complicated aero kits. The original aero kit (2012-2014) was perfectly fine in my opinion but now teams have to purchase a completely new kit again. That will be another big spend that very few can afford. And from a safety perspective, the really bad accidents that have happened while the last couple body kit rule sets have been in place are all freak accidents. In normal accidents the cars have been pretty strong. But any modifications made to enhance safety won’t stop the freak accidents. You can’t plug every hole safety-wise. 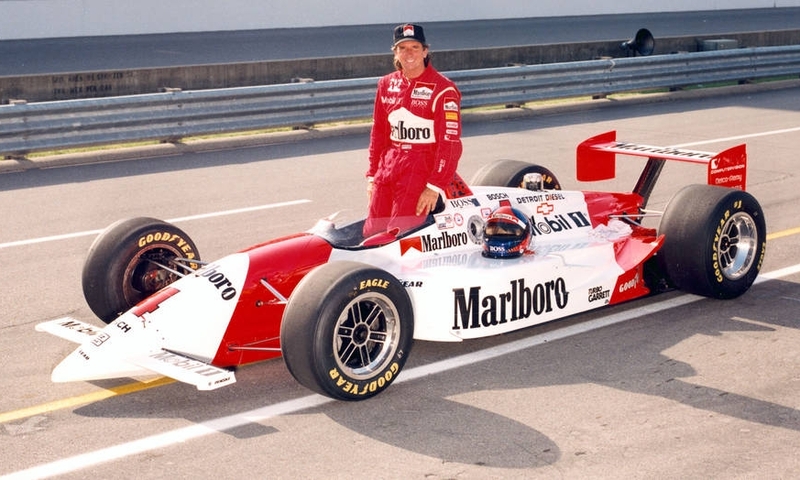 Even with the current aero kits, I don’t think there’s much difference between the Chevrolets and the Hondas now. I think that Chevy has had the best teams and the best drivers the past few years. Honda has some good teams and drivers as well of course but if you look at the grid as a whole, it’s advantage Chevy. It’s the people that are making the difference. And, I make the same point as I’ve done about F1 for a while, it’s now hard to tell the Hondas apart from the Chevys anyway. Cars always migrate to one shape that ends up being the most efficient. If you leave the rules in place long enough the cars will all become very similar looking. If you paint all the current F1 cars white I would be surprised if even half the people in the F1 paddock could tell which car is which. In a smaller way, IndyCar essentially made the same mistake as F1 in allowing the engineers to write the rules for these cars. I think the team they have put in place now on the technical side is very good so let’s hope they can come up with a clear, simple set of rules that will make sense for everyone and that will stay consistent for many years. The Malayisian Grand Prix is here and the opportunity to win with it! Participate in our fun #F1TOP3 competition, where anyone could win one of our Stefan Johansson Växjö timepieces. It's relatively easy: click on the black button above and submit the #F1TOP3 competition form - we give away prizes every Grand Prix!